So I disassembled my whole front end this week. Started cleaning/painting/replacing everything. I've looked everywhere to find an answer regarding the steering knuckle, but I can't find anything... I obviously did not have to remove them to take the car apart. What are these screws and nuts used for on the knuckle? I have 3 sets of knuckles, all of them are impossible to remove. 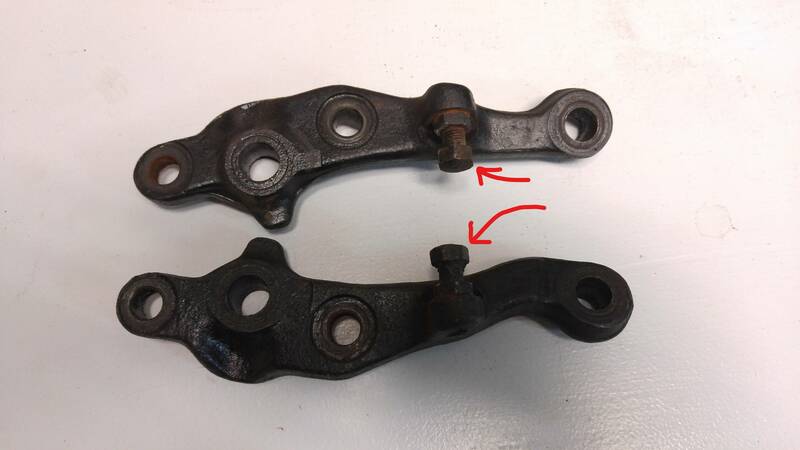 Re: Steering knuckle useless screw? Those are your steering stops. they contact the lower control arm when at full turn on steering wheel. Why do you want to remove them? Oh wow thanks. I feel a bit dumb. I just want to rebuild everything with clean parts. They are a little bent/ heavily rusted. I guess it's fine like that, I'll just clean them up and pain over it.